Imagine if you owned a 2,400-square-foot luxury home with the ability to fly you and 39 of your closest friends to anywhere you want in less than 17 hours. 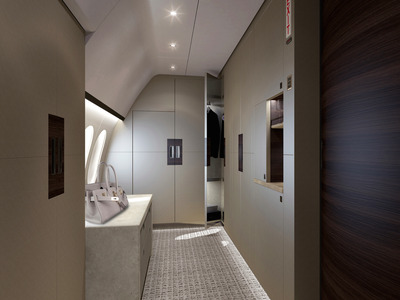 Next month, China’s HNA Aviation Group will take delivery of a new Boeing 787-8 private jet. 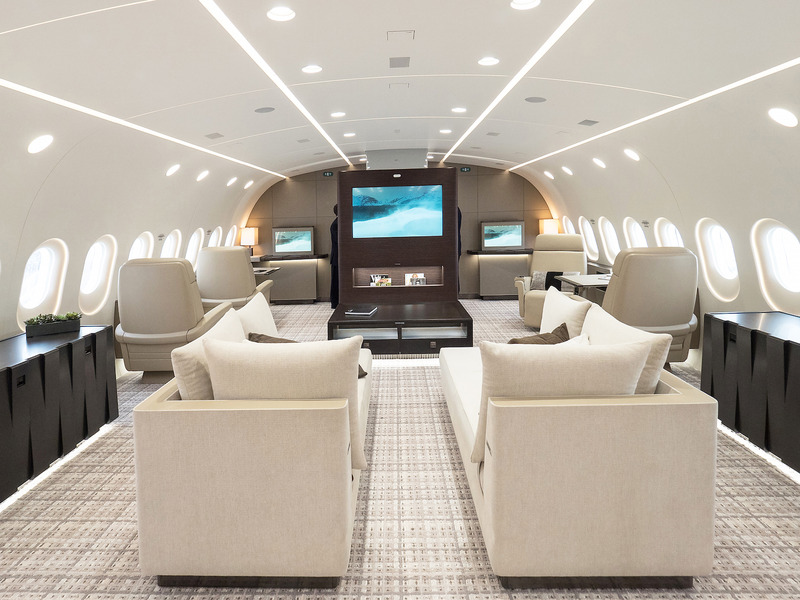 As configured, the 787 Boeing Business Jet, has a range of almost 9,800 miles even when packed with 40 passengers, luggage, and fuel. 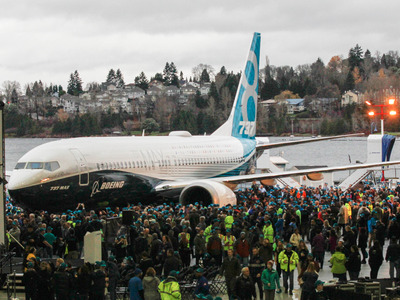 Although several 787s have been converted from passenger service to private use, this is the first Dreamliner to be built specifically as a BBJ, Vella said. 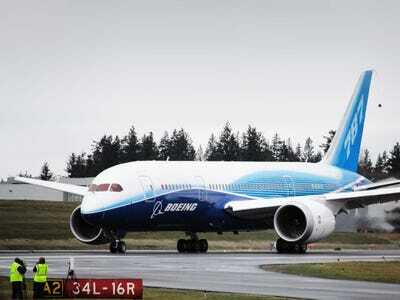 It is the 143rd Dreamliner to roll out of Boeing’s factory and first flew in December 2013. The plane was delivered to Kestrel in January 2014. The master suite's sleeping area features a large California king-size bed. 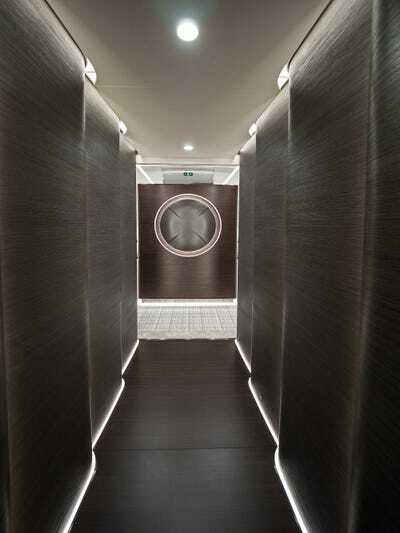 According to Vella, the suite is designed to be an 'oasis of silence.' 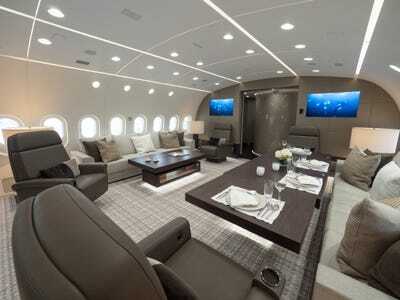 In fact, the noise level in the room during flight is just 48 decibels -- on par with a quiet suburban home. 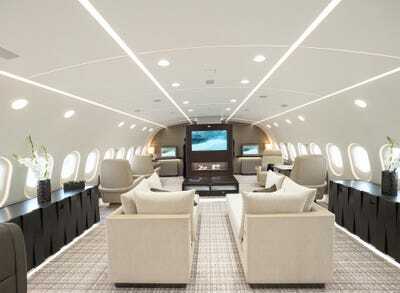 Emerge from the hallway and you'll find yourself in the plane's cavernous main lounge. 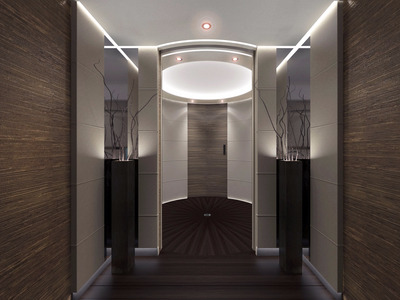 To create an open and airy feel, the room is free of any physical partitions. Instead, designers segmented the space using different furniture colours. 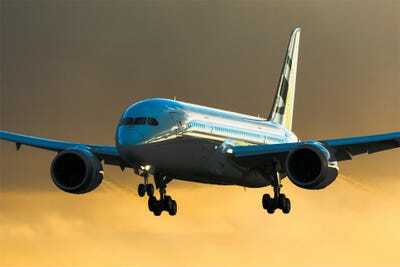 This Boeing 787 BBJ is expected to enter service with HNA Group in July. 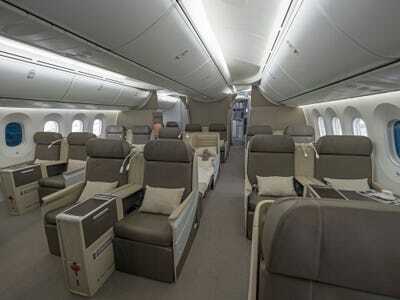 According to Vella, the plane will likely be used by the company's chairman as well as ultra-high-end charter customers.